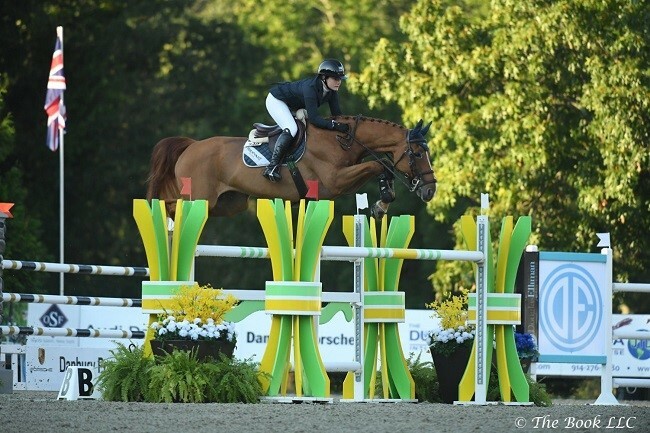 GRACE ALLEN AND RIVAGE DE LORMAY AT THE 2018 AMERICAN GOLD CUP IN THE $25,000 HIGH JUNIOR/AO CLASSIC. IF YOU WOULD LIKE TO BE ON OUR EMAIL NEWSLETTER DISTRIBUTION LIST, PLEASE CLICK HERE , PUT YOUR NAME (NOT YOUR EMAIL ADDRESS) IN THE BODY OF THE EMAIL AND SEND IT. PLEASE ENSURE YOU ARE SENDING IT FROM THE EMAIL ADDRESS YOU WANT US TO USE. IF YOU HAVE A SPAM BLOCKER, PLEASE ADD ANY ADDRESS FROM WOODEDGE.COM TO YOUR ALLOWABLE ADDRESSES (SPECIFICALLY, NEWSLETTER@WOODEDGE.COM). PLEASE NOTE WE WILL USE ONE DISTRIBUTION LIST FOR ALL INFORMATION.